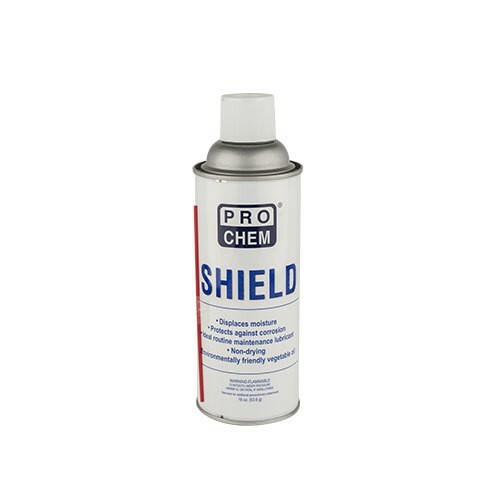 Shield | Pro Chem, Inc.
SHIELD should be sprayed directly on metal parts in order to protect them from corrosion. A light film applied in an even layer will provide corrosion protection for up to 2 years when parts are stored indoors, away from rain or salt spray. It is recommended to clean the metal before application of any rust preventative coatings in order to obtain the longest protection. Shake well before and during use. Spray on surface. Leaves a thin oil film.